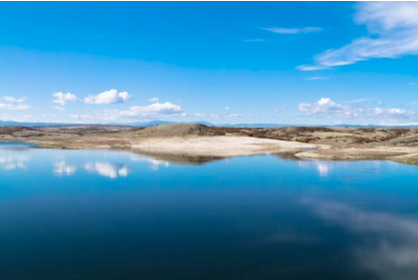 Perfect location in a growing community - Close to Hess Reservoir! HOA Includes Community Pool, Exterior Maintenance, Roof, grounds maintenance, Insurance, sewer, snow removal, trash removal and water. This unique Swiss chalet style brownstone, built in 2013 features 3 bedrooms, 3 bathrooms, 2 car attached garage, upgrades throughout including wood flooring, abundant windows with vaulted ceilings, wrap around front porch, dual sided fireplace off dining room/family room, access to 2nd patio off family room, chefs kitchen with stainless steel appliances, eat-in breakfast bar, pantry, vaulted Master Suite with sitting area, 5 piece bathroom with walk-in closet, 2 additional bedrooms, Jack and Jill bathroom and laundry room complete the upper level. Walking distance to park, trails, community pool and award winning Douglas County Schools! Anthology feeds into the Legacy Point Elementary School which is part of the high ranking Douglas County School System. Anthology neighborhood in Parker, CO is located off Motsenbocker Road just south of Hess Road in Douglas County. Access to I-25 is now super easy since Hess Road is now open all the way to I-25. Commute times to the DTC are in the 20 to 30 minute range depending on traffic and Downtown Denver, Colorado can be done in 25 to 45 minutes depending on traffic. During the day when traffic is low you can easily get into downtown Denver in 25 minutes. I do this all the time. Light rail is located at the Lone Tree Station at the northwest corner of I-25 and Lincoln Avenue. As the RidgeGate area develops over the next 20 years Anthology neighborhood in Parker, CO will be an even more desirable area since access to shopping and work will be right out your back door. The extension of light rail transit south of Lincoln and eventually east of I-25 will be integrated into the plans for RidgeGate, and ultimately serve the Lone Tree City Center, planned east of I-25 and help Parker residents commute times. The future of Parker, CO is bright! This investment is guaranteed to increase in value as new development in Parker, CO continues to grow at an unprecedented rate.